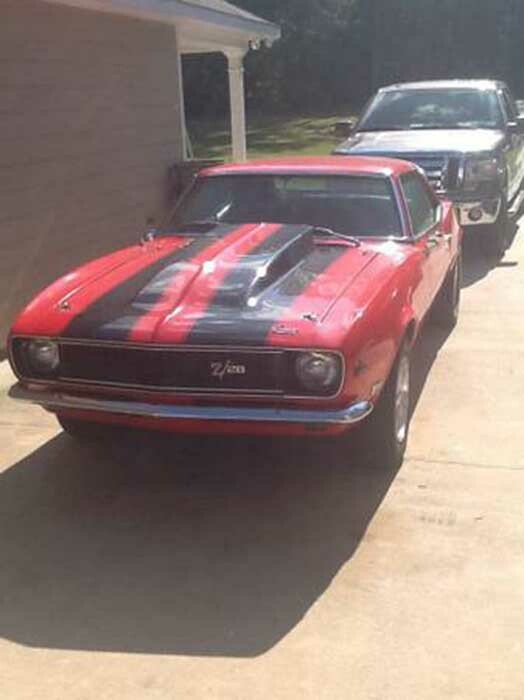 Red with black stripes 1968 Chevrolet Camaro Z28 For Sale. car. Call or text for more information. Contact phone – 706-593-6065 – Also, can send inquiry (contacting by email). Car located in – Phenix City, Alabama, US.